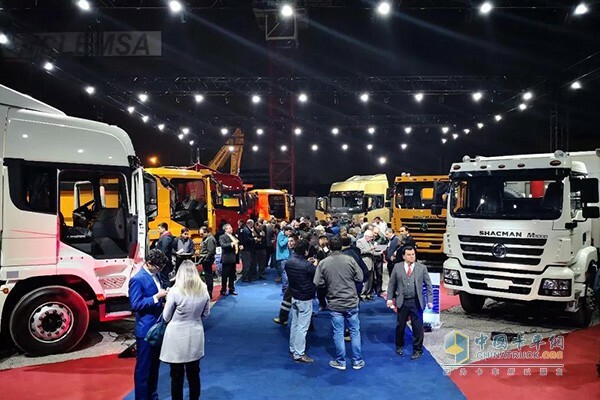 At this May time when Santiago is offering its charming autumn scenery in the most fresh air and clear weather, Shacman Cummins Promotion event was officially opened here. More than 150 representatives from authorities, traffic department, ender users, driver association and banks were invited to participate in the event. During the promotion, products including Shacman X3000 tractor, F3000 dumper and M3000 water sprinkler were brought to display. All of them have been provided with Cummins ISM engine, FAST transmission and Hande axle to deliver powerful performance, easy operation and large load capacity. The booth for Shacman Cummins attracted a number of visitors to stop and experience first-hand what the quality of Cummins engine is. After getting a closer look at the engine, chassis and pipeline layout, one customer at the scene gave a high appraisal to the X3000 tractor which he test drive. The promotion event in Chile was seen as a further step to improve its brand image in global market. In the future, Shacman Cummins will continue to forge ahead to create greater value for its customers.